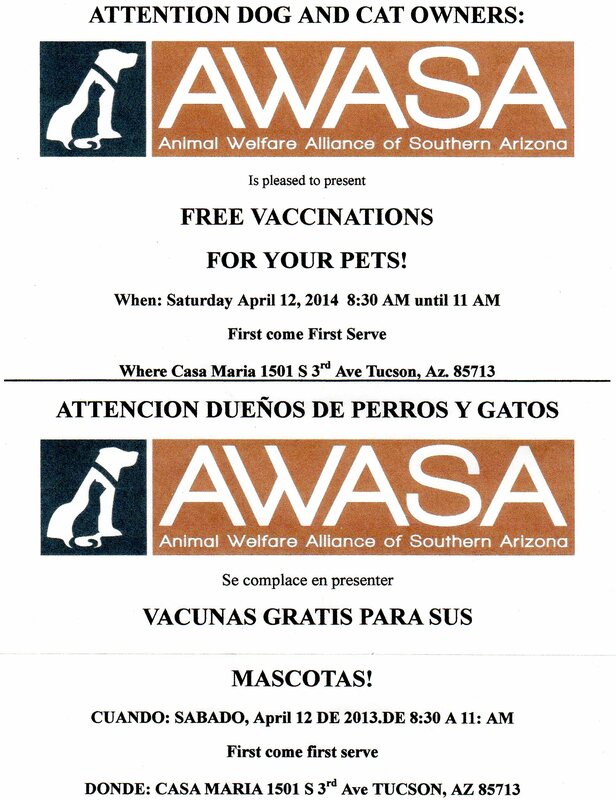 DOGS AND CATS AT CASA MARIA! The dog and cat shot clinic that happens twice a year here by AWASA (Animal Welfare Alliance of Southern Arizona) is a big deal for those who eat here. Even people who live in the barrio and don’t eat here bring their dogs and cats. A big thank you to Bonnie Kay who gets veterinarians and students from Pima Medical Institute to staff the clinic.